Argan Oil Review: Are There Benefits To Using It For Hairstyles? 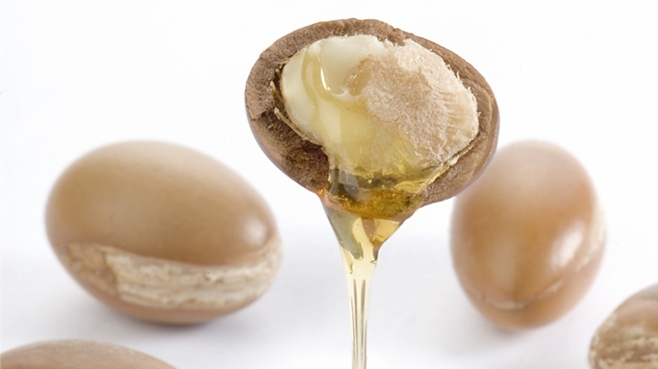 Are There Any Healthy Or Cosmetic Benefits In Using Argan Oil For Natural Hair? It was produced using fruit of the Argan trees that grow southwest of Morocco. For several hundred years, Moroccan women have been using it as part of their beauty secret. The oil is extracted from the kernel inside the pit of the fruit; each kernel is crushed by hand, ground into a thick paste, and then squeezed to produce the oil. It’s a laborious and time-consuming process to put it lightly, but the end result is nothing short of amazing. It is one of the best oil for skin, hair, nails, and cooking, talk about versatile. It can be used on your next barbecue or smear over your salad at dinner. 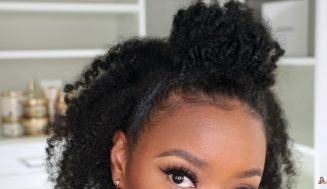 Being that this is a hair site I will focus more on the hair aspect of it. 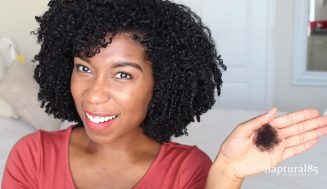 What Are The Benefits Of This Oil On African American Hair? There are great benefits awaiting your use of this liquid gold. To begin with, it eliminates frizz, prevents split ends by improving elasticity, it penetrates the hair shaft with ease leaving your hair soft and easy to manage, and it gives new life to dry natural black hair. It contains similar properties to oil such as Jojoba oil, however, it exceeds Jojoba oil when it comes to hair oil treatments. It has proven to be the essential oil for any type of hair by enhancing the hair growth and by nourishing the scalp. It is an excellent source of vitamin E. The vitamin E allows your damage follicles to be repaired when use in hair treatment. 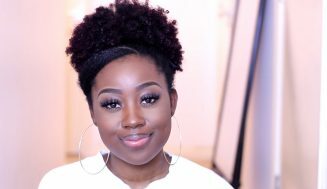 Also, it is useful in restoring the hair to its natural state by renewing and repairing damage caused by relaxer, heat, or other bad agents. 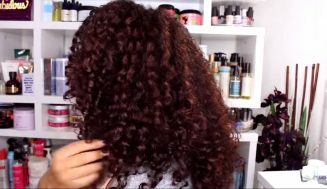 Is Using Argan Oil On Dry, Frizzy And Brittle Hair Beneficial? We all know proper hydration is essential to combat dryness. Having the cuticles exposed leave the strand of hair vulnerable to sunlight, smoke or other harmful elements that can get in. We need to flatten the cuticles in order to have a healthy head of hair. For those of you who have dyed your hair, argan oil gets rid of brittleness, it adds to the life of your hair color treatment, and it surpasses many other oils as far as being effective against breakage. Argan Oil can easily penetrate your hair fiber, this means it has the capability to nourish the fiber by making it look healthy. If the used of the oil remains for a long period of time the hair will become elastic, easier to comb through and manage. 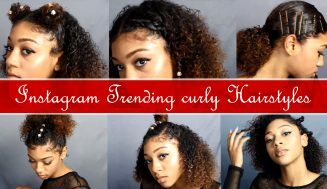 You can use it instead of gels for your braid outs, wash and go’s, and twist outs for great results. You can add a little bit of the oil on your brush or the palm of your hand to massage the hair and scalp; this will give it some freshness, and much needed shine. Then wrap your hair in a satin cloth and let it stay for about 30 mins. and then wash your hair. 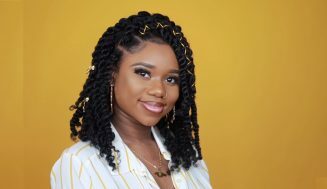 Overall, it has some great properties for natural hair and you don’t need to use a lot of it to get the desired result. Just a little bit will help lock in the moisture and reduces frizz. With its growing popularity, more and more companies are using the name to launch bogus products. With most of them being completely fake, diluted, or overly processed in labs to retain its true essence. They contain just a tiny bit of oil while the rest of the bottle is filled with synthetic ingredients and chemicals. How do you tell the difference between the fake ones and the real one? I’m glad you ask. Well, here is a way you can tell. When you read the ingredients list it should say, “100% Argan Oil or 100% Argania Spinosa Kernel Oil”. If you see anything else listed just know it’s not pure. Again, being as popular as it is, it is difficult to find reliable companies that will give you the real product. Hopefully, with this oil review, you can confidently choose from the top and most effective argan oil product on the market. It comes with 30ml Argan Oil, 10ml Essential Oil, 200ml Hair Mask, and Towel. You don’t need me to tell you having a complete kit is way better than not having it. The individual items in this kit are sold separately for hefty fees. You do get a discount for having them all included in one package.